Quick download as I stated on the title, is what this pes implies to be on Techbmc. As we all know, PES has been the best selling and most played football game in the world. And to have it, they just brought out 2017 version for android users since the last release of pes 2012. √ Download And Install Dream League Soccer 2017 APK With OBB Data. √ Download First Touch Soccer 2017 (FTS 17) Android APK Game + Data File. √ Download Pes 2016 iso + OBB Data file Here. Basic Requirement Needed To Run pes 2017 On Android Devices. Ensure you have at Least 1GB Space available on your SDCard (memory card). Works very fast On 1GB RAM Devices. Requires 60% Battery for its Installation. Download pes2017 OBB data file Here. 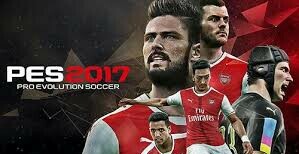 You can download pes2017 from Google play store Just Here. 1. When you are done downloading the above files, just extract the main OBB file from the OBB downloaded from above, you can achieve that on your Android device by using an app called xplorer or zip app. In case you don't have it, you can get it from Google play store. 3. As you did in step 2, also open the extracted OBB folder and copy the whole com.konamiproduction.pes17 to Android obb. 4. Finally, you can now install the pes apk game downloaded above. You can now launch the Pes 2017 on your Android device and then play as you wish. That's all for that. Ensure to share this post with your friends using below social media share buttons.